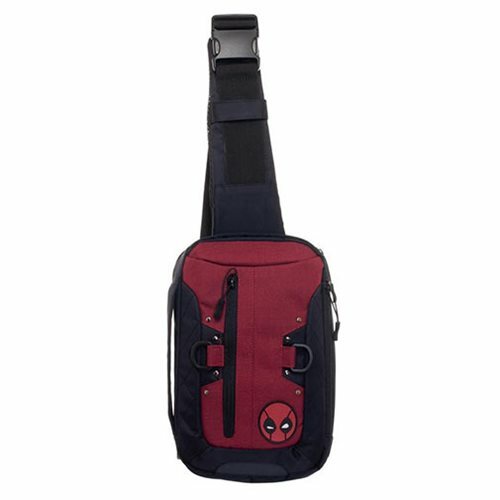 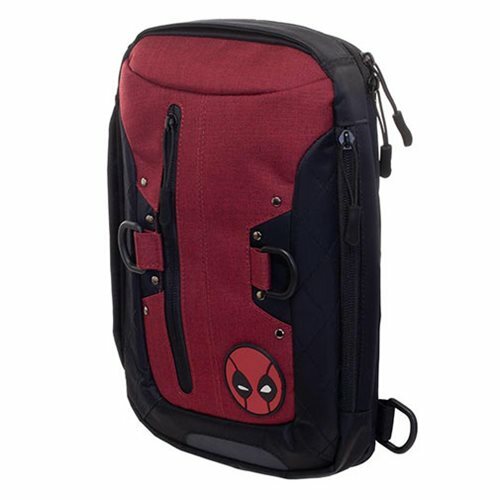 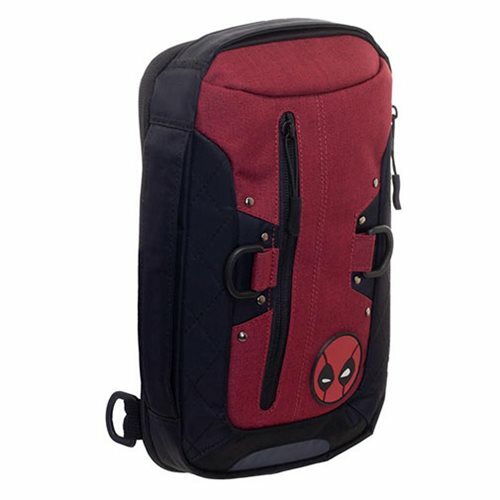 Be ready for your superhero entrance with this Deadpool Sling Hip Pack! 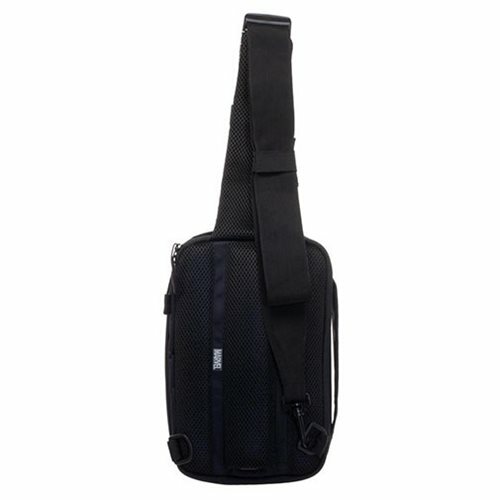 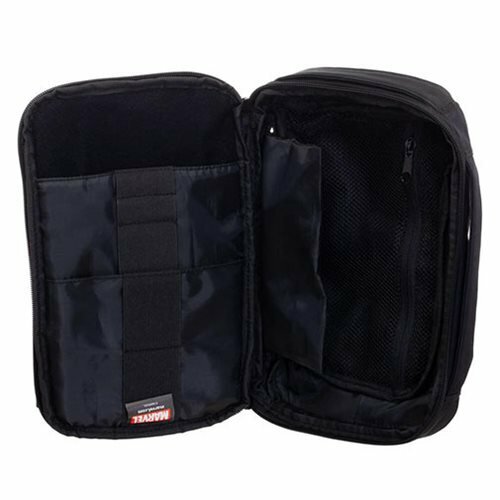 The adjustable strap allows the bag to be worn across the chest or around the waist. 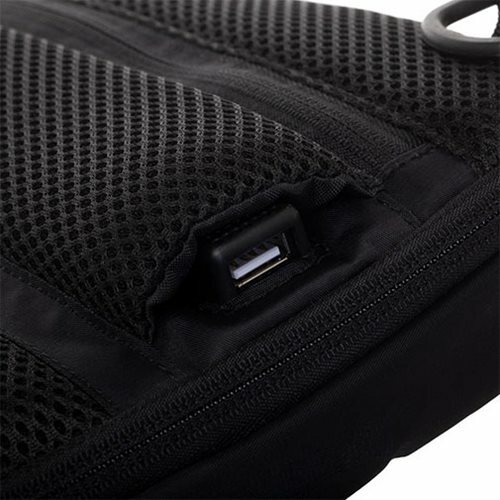 The bag includes a hidden USB Port for easy access and convenient on-the-go charging (rechargeable battery not included). 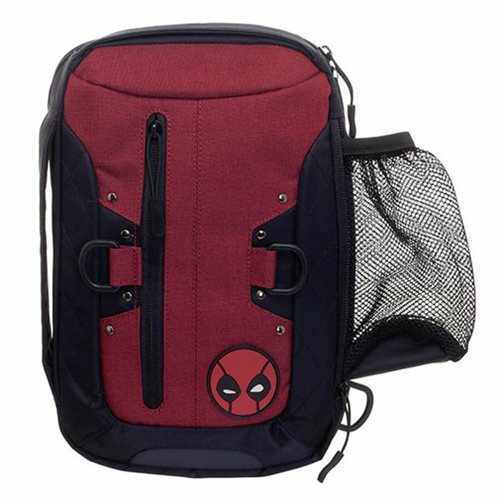 Made of polyester, it measures approximately 7 1/2-inches x 12 1/4-inches x 3-inches.Ages 14 and up.